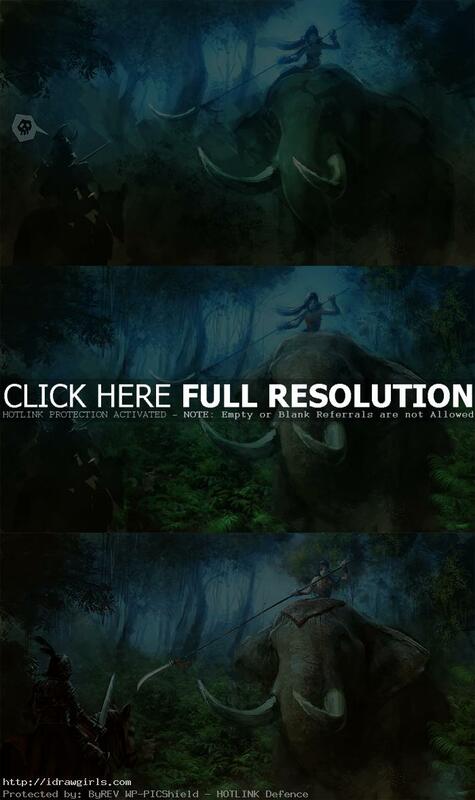 Digital painting tutorial elephant rider knight or princess warrior. 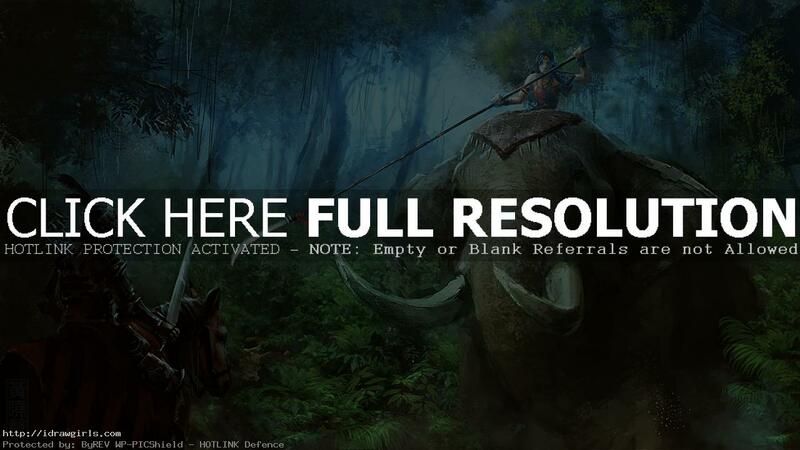 Digital painting tutorial, this video show you how I paint concept art cinematic scene of elephant rider face off with a knight in the jungle. The finished piece takes me a bit over six hours of painting itself, but longer with planing and finding reference materials. In painting process, I always try to come up with some kind story first to make it a bit dramatic and it is easier to imagine good image when you have good story to go with. I hope you enjoy digital painting tutorial elephant rider knight or princess warrior. What to focus on when you are speedpainting or spitpaint. 1) Composition, you should be thinking in terms of shapes and how to arrange them best and interesting in the scene. Having a story to go off of before you paint often yield best result. 2) Value, this will help you set range for foreground, middle and background. Also very important in setting up light and shadow on your scene. 3) Edges, try to set your edges along with composition when you arrange the shapes. This will help make your image read well and clear to your viewers. There are actually more things to consider like color temperature, color scheme, etc. But if you can nail those three important things within thirty minutes, the rest will come with time. Thanks for watching, keep on painting. You can download the full two hours tutorial here: Illustration technique tutorial elephant princess warrior. 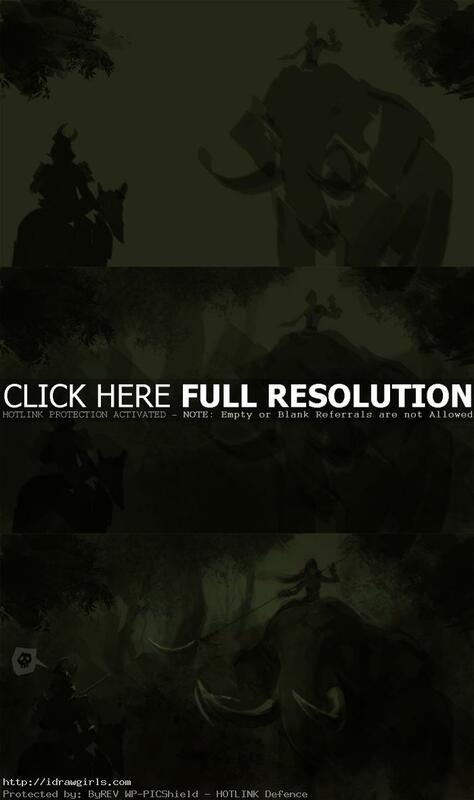 Below are step by step process how to paint elephant rider princess knight tutorial.